Teaching jobs are extremely difficult to secure these days! 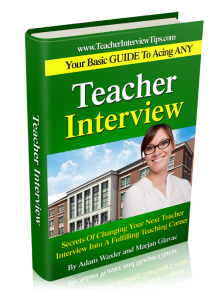 Get this interview guide now and discover the inside secrets to acing your next teacher interview (after learning how to use the latest teacher specific techniques to find the teaching position you've been looking for). Are you finding it very difficult to find a teaching job? Once you've landed an interview, do you have trouble sleeping the night before an interview? Do you get stressed and anxious with answers to questions you don’t know? Does your mind go blank? Do you forget what to say and then forget what to ask? Your Basic Guide To Acing ANY Teacher Interview will teach you, step-by-step, how to land an interview, how to confidently answer interview questions and outright ACE IT! The number one secret to landing a teacher interview. (Your interviewers will love you for doing this). What never to put on a teacher cover letter. (This is so simple, but it happens all the time). How to create a teacher resume that makes YOU stand out from the competition. Resume mistakes that make recruiters furious. Two little known social media job search techniques that will help you find teaching jobs way before your competition – sometimes before the job is even advertised! 7 questions that recruiters are NOT allowed to ask. 5 practical strategies to reduce and eliminate your nervousness to ensure a great interview. 12 questions YOU should ask the interviewer to let them know you're serious about getting the job. I have reviewed your Teacher Interview Tips ebook and have to say, WOW!... outstanding content. This is an absolute must read for any teaching professional and I give it my highest recommendation. There is so much hype and fluff circulating online and you have written a truly special book. Your Basic Guide To Acing ANY Teacher Interview! Along with my involvement in teacher training, I also took on an active role in teacher recruitment. I have sat on countless interview committees and have been responsible for hiring (or not hiring) new staff members in various content areas at a number of different grade levels. And, let me make this perfectly clear: while many people claim it is easy to get a teaching job, the fact is teaching jobs are extremely difficult to secure. I’ve teamed up with Marjan Glavac, retired teacher with 29 years elementary and middle school teaching experience. Marjan has also sat on countless interview committees. He's done the painstaking work of reading hundreds of cover letters, resumes and been responsible for hiring new staff members. Together with over 35 years of frontline teaching experience, we've combined our insights and expertise to make this resource the most up to date and relevant teacher interview book on the Internet today. I sent you an email a few weeks ago after I purchased your E-book on Interviewing. I appreciate your quick response to my questions/concerns and the advice you gave me. I wanted to follow up with you to let you know that my interview went well - I felt very prepared for it and all the questions that you mentioned in your book were questions that I was asked. So, to make a long story short, I was offered BOTH teaching positions within hours of each other! I gladly accepted the High School Business Teaching position and am looking forward to beginning my new career! I want to thank you for your book and for your advice. I would highly recommend your book for teachers seeking interviews! Thank you for the great book! I poured over it and took your advice on almost every question. I practiced with my sister-in-law who is a teacher as well and I must say it made all the difference. I had my first formal teaching interview for a high school English position and it could not have gone better. I knew what they were going to ask because I had read your guide on acing any teacher interview and I was prepared. I think I knocked every question out of the park and they offered me the job on the spot! I was very nervous since I have heard how hard it is to become a teacher; and since I have no classroom experience I was really anxious. Even with all that, your book helped me nail the job I wanted on the first interview. Thanks again. My brother-in-law is also interviewing as a teacher and I will definitely tell him about your book. 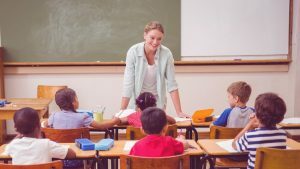 School districts all across the country have actually cut thousands of exisiting teaching jobs! It's no better up north with my Canadian teacher colleagues. In some districts you need to apply and be on the substitute list a year before you can even apply for a permanent teaching position. AND, that's only if there are openings for the substitute list! So, how do you get a teaching job? How do you even get an interview in the first place? That is exactly what I will teach you in Your Basic Guide To Acing ANY Teacher Interview. I read your book, actually crammed for 2 hours before my interview, and I got the job:) There were over 100 applicants for the position! I landed a kindergarten job! I no longer have to drive 500+ miles a weekend to see my family. I used a lot of your ideas. I think the best one was the behavior management one! I got the job ... I am currently teaching a first grade class at a school that is 40 miles away from home. I will be going into a second grade class as of September which is only 8 miles away from home. You really can find those unadvertised jobs before your competition even realizes that they even exist. There are tips and strategies you can use to make you stand out from the crowd. Knowing how is the key. This ebook will give you those tips, strategies and knowledge to land your ideal teaching job. step-by-step, how to land an interview and outright ACE IT! You can download Your Basic Guide To Acing ANY Teacher Interview and start preparing in minutes. Before you know it, you'll be well on to your way to your first interview and landing your teaching position. So, What's a Teacher Position Worth to You? More than a couple of coffees a month? If you order Your Basic Guide To Acing ANY Teacher Interview by midnight on Friday, April 06, 2018, it’s yours risk-free for an incredible $47.00. And what if the eBook isn't all you hoped for? What if you don't like it for any reason? Return it for a 100% refund. Try it out 8 whole weeks. If you’re not satisfied, at any time within those 8 weeks, you’ll get your money back. Bonus 1: FREE Access to The Complete Guide To Getting A Teaching Job Udemy Video Course. 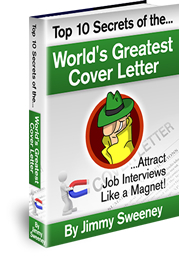 Bonus 3: Top 10 Secrets of the World's Greatest Cover Letter... Attract Job Interviews Like a Magnet. 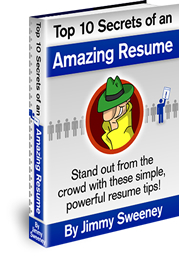 If you want to discover some of the greatest "think-outside-the-box" job search strategies ever revealed, get your copy right now. Bonus 4: Top 10 Secrets YOU Can Use To Ace Any Job Interview... Unique job interview tips to get you hired fast! Precise and Concise… That’s Nice! Bonus 5: Top 10 Secrets YOU Can Use To Ace Any Job Interview... Unique job interview tips to get you hired fast! 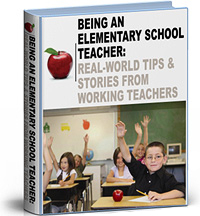 This eBook contains 64 pages packed with information from 25 working teachers. The Better (and More Fun!) Way to Find a Job Networking. 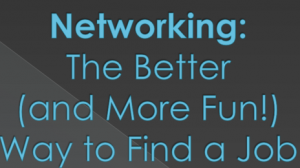 This power point presentation is a complete guide to networking. Don't forget... If my ebook does not live up to your expectations) I will refund 100% of your money! Take a full 60 days to examine and start applying these teacher interview tips. That's right, 60 days to put this "teacher interview guide" to the test. If you aren't satisfied for any reason I will refund 100% of your money...No questions asked! Think about it, for just $47.00 you can secure that teaching job. P.S. 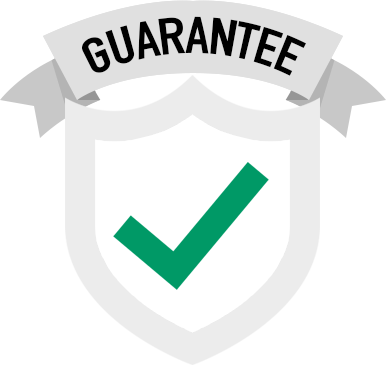 The risk is on me - if you are not happy with Your Basic Guide To Acing ANY Teacher Interview, then a prompt refund is guaranteed. Yes, I had my "first" teacher interview April 27th and it went very well. I went to a job fair April 21st and she called me April 26th (she was really impressed by organizational skills). I reviewed the "Ace Any Teacher Interview" book all week and before I went into the interview. The principal really wants me at her school . I will let you know when I sign the contract. P.S. I have another interview to schedule for next week as well so wish me luck! I used the interview tips in my interview and I've gotten to the top two candidates out of 20 in two interviews. I'd like to thank you in advance for taking the time to send me emails regarding resume tips, cover letter tips, and ways to do well in an interview. I just landed a job at an international school in Indonesia. I have been working as a substitute teacher in the largest school district in British Columbia, Canada for 1.5 years. It is very competitive for new teachers without classroom experience to get full time positions in this province, and I was beginning to feel anxiety about my career lacking direction and momentum. I applied for one part time position, and I didn't hear anything back and felt discouraged. The next week, I applied for a full time position as an elementary school music teacher. I got a call yesterday (Thursday) asking for an interview Friday morning. I was answering questions in such a way that the two principals who were interviewing me kept saying, "Well, you've basically already answered that question..." which I think was a good sign. I also googled the school, and consistently referred to the school's unique goals and commitments to education throughout the interview. At the end, I gave them a beautiful but concise package with a copy of my application, my professional philosophy, copies of my practicum reference letters, resume and cover letter. They were really impressed. The interview lasted for an hour, and by the time I had driven home, I received a phone call offering me the job!!! I "ACED" the interview, and now I have my foot in the door in my district. I've talked with numerous new teachers and subs in my district and from neighbouring districts. It is the norm to apply for dozens of jobs and have interview after interview without success. This is only my second job application EVER, and I got the position:) My career is now on track and gaining momentum. I finished this course the last week, but I didn't rate it immediately, because on Monday I had job interview for teaching position and I wanted to leave my feedback after the interview. I found the course very useful in my preparation for the interview and the demonstration lesson. All the provided information was true and practical. Today I received the good news that I got the teaching job, so in the next 2 years I am going to be a teacher. Thank you Marjan Glavac for all the advises that you shared in this course! I am pleased to inform you that the video that I watched on interviewing tips aided in my accepting a job offer. I had an interview two weeks before at another school and felt that I hadn't prepared well enough to answer the questions adequately. I told my husband that I didn't know how to prepare for the interviews anymore as most of the questions were different at every interview. He told me to write down the questions that I could remember and prepare to answer those questions. I still felt like I needed to do more research and I stumbled upon your video tips. They aided in my feeling more confident, managed to jump start my thinking about classroom management skills, and helped me answer a question on how I would arrange the classroom after thinking about what kind of teaching style I have versus my thinking they wanted to know how I would physically arrange the classroom. I will be teaching English as a foreign language in a dual language program in Vienna, Austria. The age group is first school, so from age 6-11. The video helped me to take extra note of any acronyms needed in the teaching world and how to talk about myself. I also contacted the school for a proper pronunciation of the headmistress name. Thank you so much, I start in September thanks to the videos. Best wishes from a sweltering Vienna! The instructor was very thorough in his responses to most asked interview questions. He is very detailed in his approach in explaining an education philosophy statement. The experience he presents is priceless. Excellent advice for aspiring teachers wanting to land a dream teaching job. The videos are very clear and on topic. All the suggestions will certainly help while preparing for the job interview.